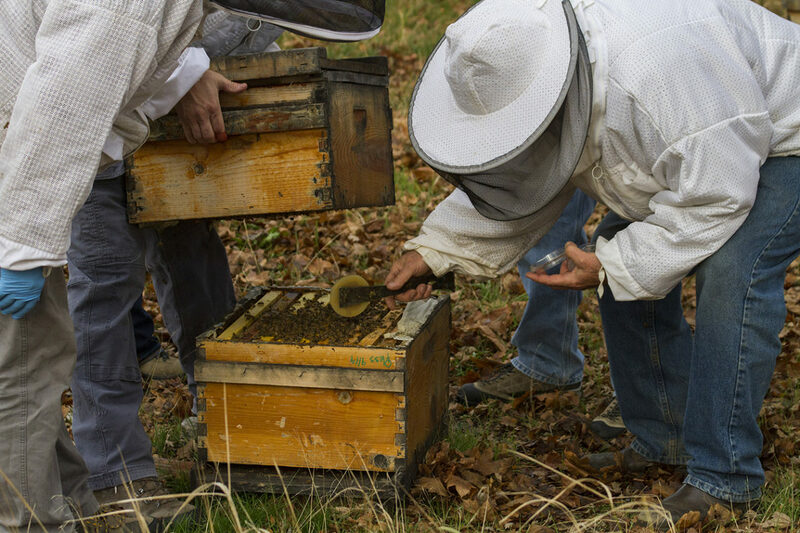 Steve Sheppard and his team provide the mushroom extract to a bee hive as part of their experiment. Bees that received the extract showed significant declines in viral infections within days. PULLMAN, Wash. – A mushroom extract fed to honeybees greatly reduces virus levels, according to a new paper from Washington State University scientists, the USDA and colleagues at Fungi Perfecti, a business based in Olympia, Washington. Though it’s in the early stages of development, the researchers see great potential in this research. A portion of this project was funded by USDA‑NIFA project WNP00604.